This morning, after a lazy 7.45am sleep-in, Skip and I went to pick up our girls who were at a sleepover with their Grandma. We had a couple of 'dos' on last night, so they were happy to spend a Saturday with Grandma. After picking up some sustenance in the form of divine croissants from La Banette and some coffee we headed for the northern beaches. The sky was a magnificent shade of blue and the sun was absolutely gleaming. Despite being June it was actually kind of warm. There was only one thing for this weather – the beach. I've said it here many times before, but our family is always at its happiest next to the ocean. Lil-lil runs around digging, splashing, Goosey follows her. Skip chases them. 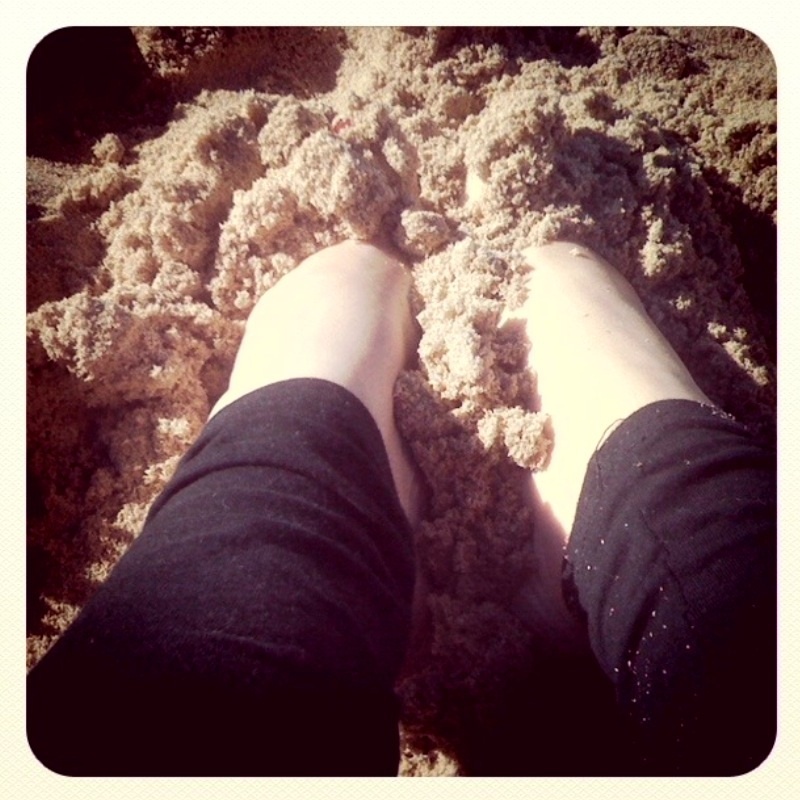 I soak in the sunshine and feel the sand between my toes. I don't know what it is about the sea but it completely energises me, washes away the cranks, makes me feel alive. I love the bush, I love the countryside but I love the ocean oh so much more. I just can't be too far away from it for too long. Do you have a place that makes you feel happy and content? Snap! For me it's the ocean also Corinne. Hubby and I call it our spiritual home and could not exist for long being away from it. It was a glorious June Sunday wasn't it?! We also felt the warmth of the sun on our brows. In fact, the whole weekend has been a beautiful mix of warmth and sunshine. Having lived my whole life mere seconds away from the water I could never imagine not having it so close. The thought of living land locked has no appeal to me whatsoever! It's the ocean for me too, every time. The water, sand and an ocean breeze are instant soothers for me.